In keeping with this week’s trend of showing off giveaway polishes, today I bring you Contrary Polish! 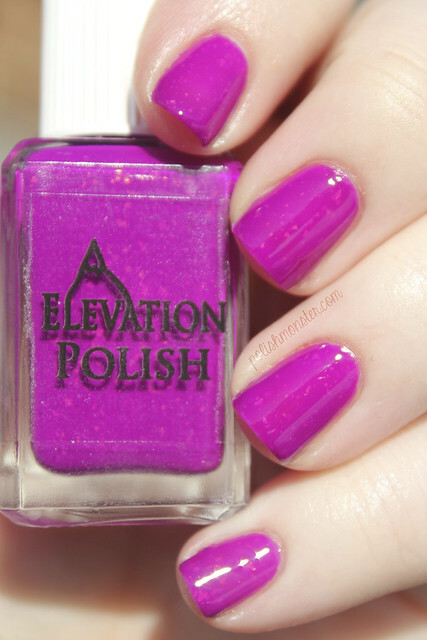 Contrary Polish is one of my favorite indie brands. 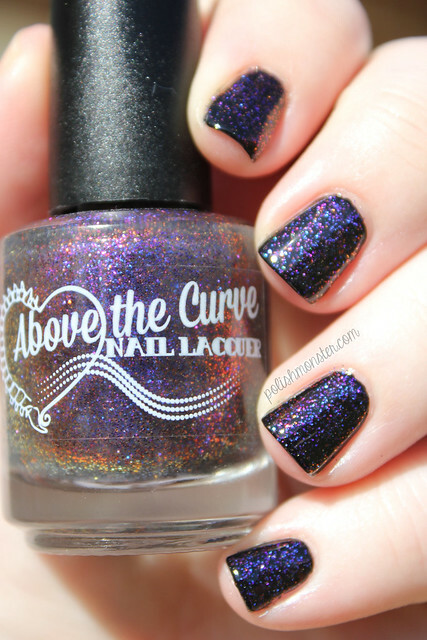 Since around fall I’ve been really drawn to non-glitter bomb polishes (with a few exceptions of course! 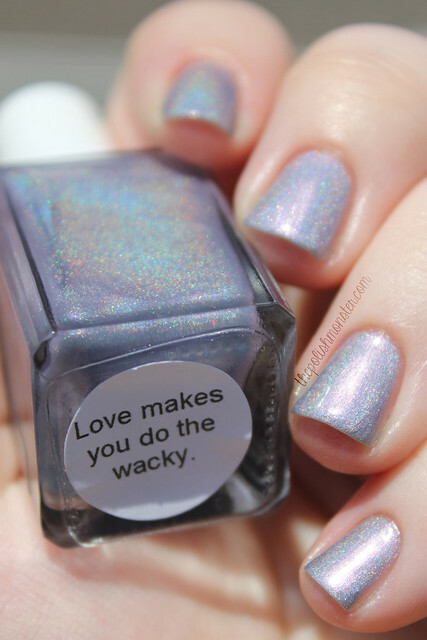 ), and Contrary Polish is one of the best at amazing shimmers. I own a good chunk of her creations (you can check my stash list, though it’s not up to date- I also have the new colors and a few more older ones), so if there’s any you’ve been wanting to see- let me know in the comments and I’ll try and post them next week if I have them! 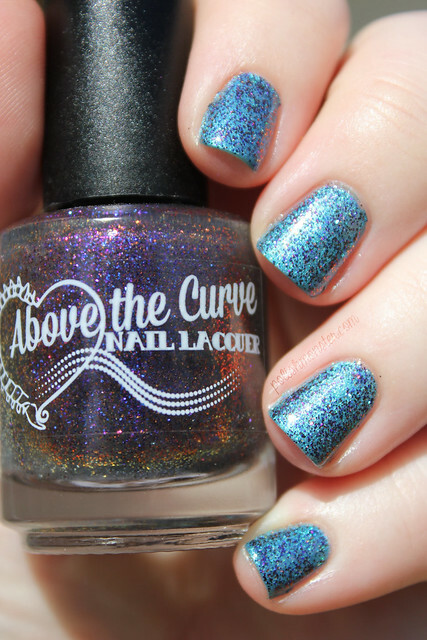 A few months ago I contacted Carrie about creating a custom polish, and I LOVE what she came up with! We decided to name it ‘Anniversary Monster’ in celebration of my 1 year blogging anniversary (which was in June, but I’m slow) 🙂 A second bottle of Anniversary Monster will be a prize in my upcoming giveaway! First up, I’ll show off Gift Wrap! 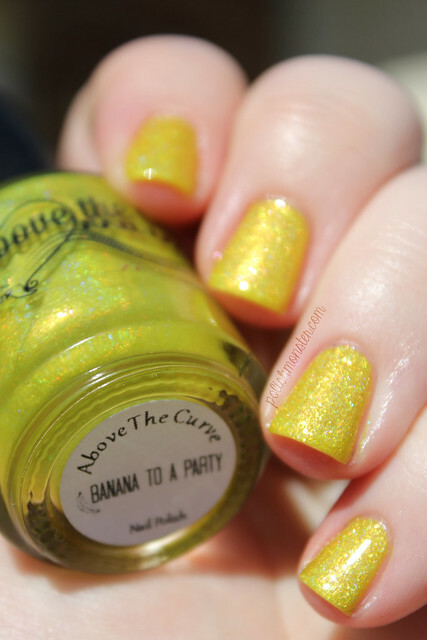 When I first bought this polish I thought it might look a bit of RBL Scrangie (one of my favorites), but in person it didn’t. The colors are a bit different, but the major difference is the shimmer. Gift Wrap’s is much more noticeable, and it’s also more of a scattered, larger particle shimmer rather than a smooth shimmer (does that make any sense? I can’t figure out a better way to describe it!). This alone makes it appear completely different. If you like that color combination you will adore Gift Wrap! 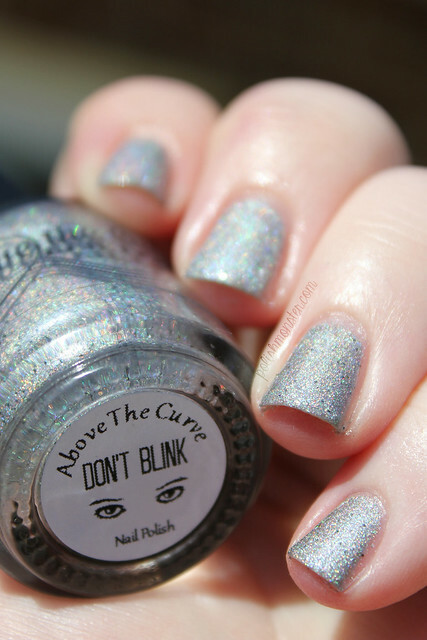 Agh, the sparkle. 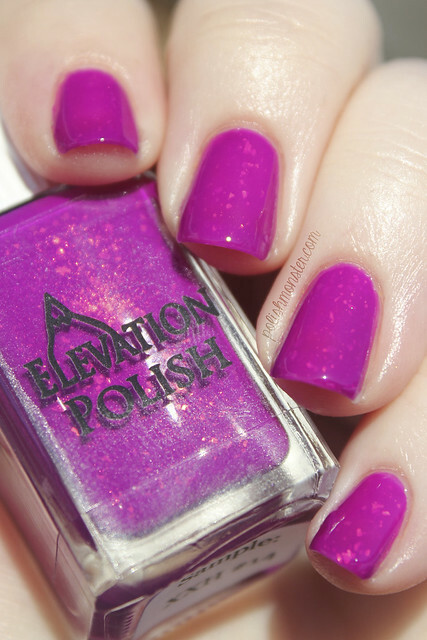 This polish was so gorgeous and stunning outside in the sun- though it was beautiful indoors as well! And now for Anniversary Monster! When Carrie asked what I would like for my polish, I just gave her a list of colors I loved and let her have free reign. I said that I love pink (of course! ), grey, tiffany blue, green and purple- so whatever she thought would look great and use some of those colors would be awesome. 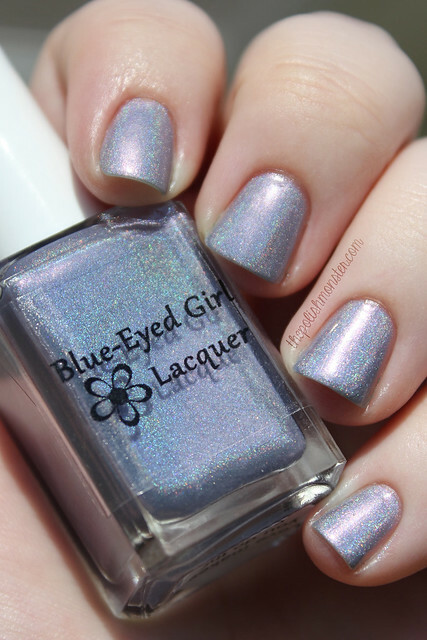 What I got was this beautiful blue-grey polish filled with bright pink shimmer. The base is almost green-leaning in some lights, and a bit blue in others. Definitely something unique, and very ‘me’, and it even seems to fit the ‘Anniversary Monster’ name perfectly! Again the application was great- I used 2 coats and topcoat for these photos. Like Gift Wrap, Anniversary Monster dries to a bit of a satin finish without topcoat. So what do you think? I love it! If you’d like to try and win a bottle, be sure to be watching my blog- I’m hoping to start the giveaway early next week! 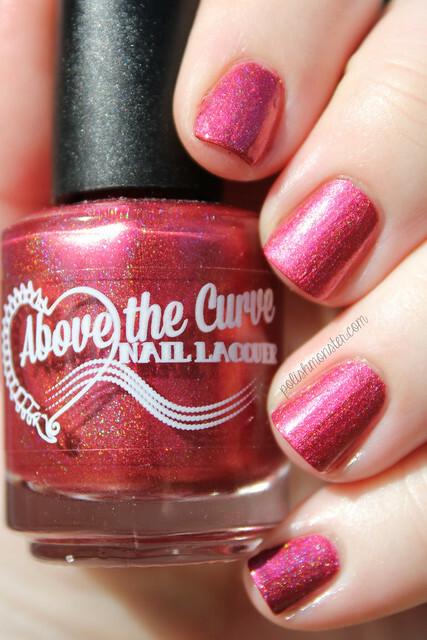 Be sure to follow Contrary Polish on Facebook to stay up to date on new releases and information! 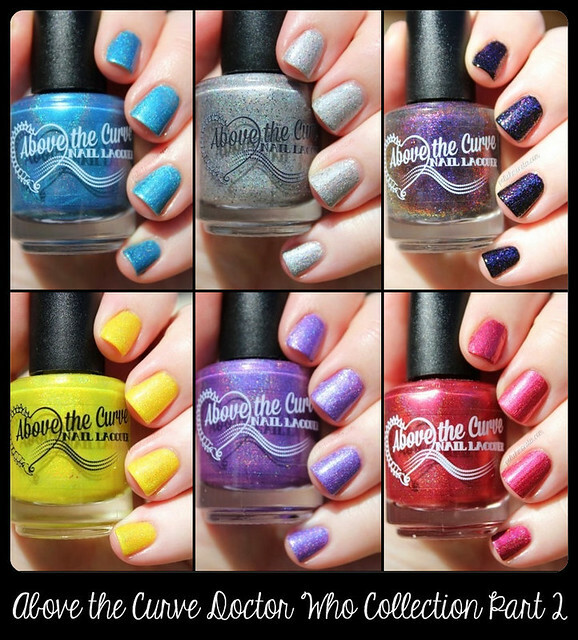 You can purchase Contrary Polish from the Contrary Polish website (via email on Fridays) for mini sizes and certain full sizes, and also through a number of international stockists: Llarowe, Femme Fatale Cosmetics, Shoppe Eclecticco and Norway Nails. 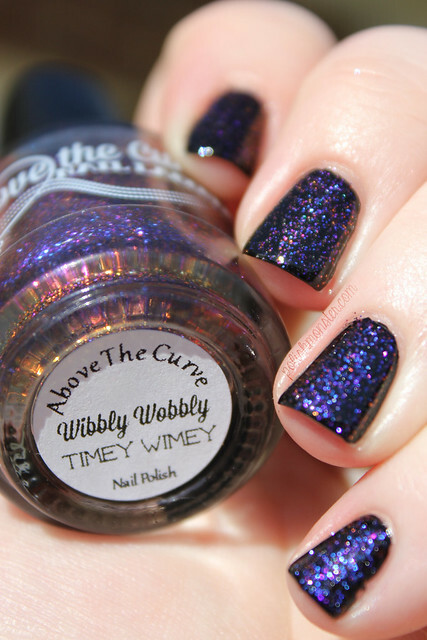 Bottles are $5 for mini sizes and $10 for full size via Contrary Polish’s website, and full size prices vary for international stockists.